I was lucky enough to grow up in the a time that we actually played outside in the summer . We dissapeared early in the mornings on our bikes looking for adventures. Our subdivision wasn’t completely developed and there were patches of woods. In these woods we would build club houses and play for hours. The best part was the random blacberry patches in small clearings . We would bring plastic cool whip containers and pick them for hours. We would talk about selling them to our moms to make us something good LOL. We usually ended up eating them all before they made it home but those were the days. Now, luckily these berries are easily accessible at local super markerts. 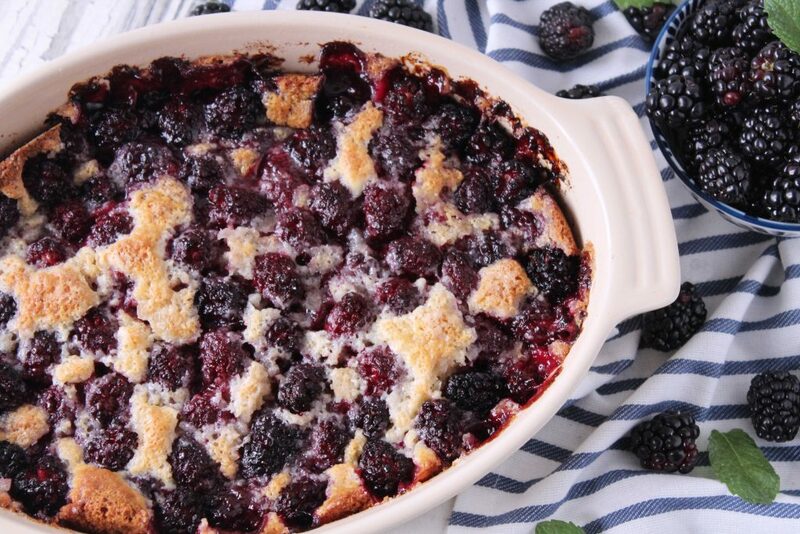 This is the easiest blackberry cobbler ever! The best thing is if blackberries are not available you can totally make this with frozen berries.